Happy 2011! Wahoo! Hope you all had a wonderful New Year’s Eve! Dave and I were driving from the Upper Peninsula of Michigan (duh U.P., eh?) down to Orlando, Florida. Orlando is our new home for the next 6 months. We are down here training with Maximized Living to open our own Maximized Living Health Center. The city we have chosen to open in and live in is Greensboro, North Carolina. Stay tuned for more details on our clinic grand opening, coming this summer 2011! 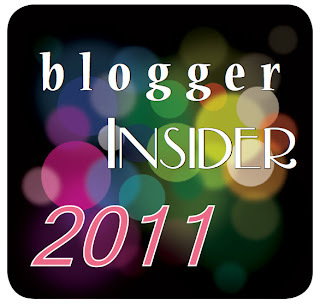 To kick of 2011, here is a bit of Blogger Insider to get to know me better. Hope it’s as fun for you to read! Do you have any siblings? Yes, 3 brothers. Which stores do you regularly shop at? Whole Foods, local co-op, Target…that’s about it. We’re poor since we’re saving up for starting our business, thus we only buy the essentials. When’s the last time you ran? A few weeks ago, for an aerobic burst training workout. Do your jeans have rips, tears, and holes in them? Only one of the four pairs I own does. They’re my “stylish” pair. Ha. What are you dreading right now? Having to move again in June, the sixth time in a year. Do you get the full 8 hours of sleep a night? I try to, if not more, otherwise I’m off for the whole day. If anyone came to your house on your “lazy days” what would ya’ll do? Create a new recipe in the kitchen while watching a RedBox rental. Don’t you hate it when the radio ruins good songs by playing them over and over? Yes, like Natasha Beddingfield’s These Words. Last summer, right? They played it every half hour and I had an hour drive to and from work every day. Used to love it, now I cringe. Have you ever stayed online for a very long time waiting for someone? Yes, waiting for Dave numerous nights on MSN or Skype while we were apart for a year before we were married (2008). Could you live without a computer? No. Absolutely not. Do you wear your shoes in the house? No, but I’ve got to have socks on. Thinking of getting a nice pair of slippers, too. You know, the kind that are pretty much shoes but uber comfortable. Who or what sleeps with you? Just Dave. At what age did you find out that Santa wasn’t real? I don’t remember really. I do, however, remember setting up “traps” for Santa with my brothers. String across the foot of every door so he’d trip when he entered the house. Set my karaoke machine up near the tree to record any sounds of Santa and his sleigh. Things like that. Fun times. How many house phones and cell phones are in your house? Zero. Believe it or not, we are without phones and have been since August, in effort to save money for our business. We use the free Google Calling app from our gmail accounts. Do you watch Grey’s Anatomy? I do not. We’ve also been without cable for about a year, to cut costs. I do, however, watch Glee and The Office online each week! How do most people spell your name? Haha, great question! It’s more of a mispronunciation of my name. Alice or Elsie are the most common misspellings and misspeaks. And for the record, I prefer my name pronounced “L-eese”. Where do you work? Nowhere at the moment. Dedicating the next 6 months to planning and opening our chiropractic health center. Do you have a dishwasher? Yes, but we try not to use it as much as we can. We’re a pretty all-natural family, and usually just wipe and rinse our dishes clean for a few uses before a trip to the dishwasher. What noise do you hear at the moment? Traffic outside and Chris Tomlin on iTunes. What’s the last thing you purchased? A dozen eggs. Haha, we go thru a couple dozen a week just between us two. Do you own expensive perfume/cologne? No, too toxic for my body. I can’t handle the chemicals. I use essential oils in place of perfume, and I love the natural scent options! Are you taking college classes right now? Notta. Have my B.S. in Management & Marketing, but within the next year will be pursuing my Holistic Nutritionist degree (after we get on our feet in Greensboro). Do you like sushi? Love it. No raw fish for me, though! Do you get your hair cut every month? Nope. I’m cheap. Every 3-4 months usually, always with a coupon in hand. Will you pass this survey on to 5 people? Definitely! Cannot wait to hear what they say! Questions Answered: Is Pectin Healthy? The Holidays are here – now what do I eat? My friend, Melanie, fondly refers to herself as a “blog-stalker,” and I confess I could, at times, carry that title as well. Your recipes have been a tremendous help to me and I so appreciate you sharing. Thank you. I’m curious as to which office you’ll be training at – Dr. Erik? Dr. Ben? If you’ll be at Dr. Erik’s then we’ll be sure to meet. It’s fun to get to know people while they’re here for their 6 months, but then can be a bitter sweet as you move on to the next step in your journey. Thanks for sharing some insights into Elise! I’m new this year to Maximized Living and very new to Healing Cuisine. I attend B.J. Hardick’s clinic, and I did see Dave there and wondered who he was, but never had the pleasure of meeting him. He appeared to be a real sweetie, though, especially as he interacted with the kids in the office. You seem like an ideal pair. I’m just about to do the 30 Day Challenge again, this time with a ton of knowledge (thanks to all of B.J.’s seminars) and real motivation behind me. I am SO looking forward to the process and the end result. Thank you SO MUCH for your website; I believe it will make a world of difference as I plan ahead this time. I’m 59 and have spent way too long indulging in bad food and habits (and am paying the health price.) But it’s all about ending well now, and that’s my goal. My health has improved notably from regular chiropractic and I’m going to make every effort to up the blessing to my body with greater good-health efforts through nutrition and exercise. Not a New Year’s resolution, but a life resolution. Thanks for sharing some eclectic personal info. It definitely causes a more personal feel as I read your latest entries. I was truly inspired and challenged in hearing of all the luxuries you do without in an effort to live financially responsible. You’ve moved 6 times in 1 year? Can’t even imagine it. I hope you’ll be super happy and fulfilled in your new location. Have a wonderful, happy and blessed 2011 ! Hi Juliegirl — thank you for your message! So glad you have found a fabulous Maximized Living clinic!! As I’m sure you already do, you will LOVE Dr. B.J. and you are truly getting the highest quality of care at his clinic. Best of luck with your 30 Day Challenge! So proud of you for doing it! The key to preventing those indulging bad food “give-ins” is meal planning. We plan our week out every Sunday. It is key!